Dry eyes can cause various levels of discomfort, including itching, burning, and excess watering that make it difficult to perform daily tasks. 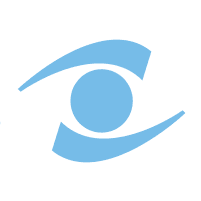 The optometrists and ophthalmologists at Rocky Mountain Eye Center diagnose and treat dry eye at their locations in Missoula, Hamilton, and Butte, Montana. If you think you may have dry eye, call or book an appointment online today. Dry eye is a common condition that happens when the quality or quantity of your tears isn’t enough to properly lubricate and nourish the eye. Tears are an essential part of eye health and help provide clear vision. Poor Quality of Tears: Tears have three main layers: oil, water, and mucus. Each component plays an important role in nourishing the surface of your eye. An imbalance in any of these layers may cause tears to evaporate too quickly or prevent them from adequately covering the surface of your cornea. These conditions can lead to dry eye. Dry eye may make it uncomfortable to wear contact lenses and cause vision problems that make it difficult to drive, especially at night. To diagnose dry eye, your vision specialist at Rocky Mountain Eye Center performs a comprehensive eye exam. They thoroughly review your medical history and eye health to understand the cause of your dry eye. They may also perform tests to measure the volume and quality of your tears. Your specialist at Rocky Mountain Eye Center may also recommend self-care steps you can take to reduce dry eye, such as using a humidifier and taking nutritional supplements that contain essential fatty acids. To find the right dry eye treatment for you, call Rocky Mountain Eye Center or book an appointment online today.